With the Winter we’ve all been enduring, the competition for Spring is certainly evident, but that isn’t exactly where I was going with this. Warm weather and dry shooting ranges will inevitably arrive, so I thought I’d reinforce that High Power Competition Shooting itch you may be yearning to scratch. Our 20″ Gov’t. Type Rifle (featured below) is the perfect competition platform right out of the box, or could be built up with unique accessories to punch tiny little groups at your favorite range. With its highly accurate and durable 20″ chrome lined barrel, and adjustable sights, you’ll quickly get zeroed in and derive many years of competition shooting pleasure. So, check out the 20″ Gov’t. Rifle details below, online at www.windhamweaponry.com or ask your local FFL dealer about it, and start assembling your favorite target loads because Spring is sure to arrive soon! As always, shoot safely, and feel free to contact us with any AR related questions. We’re here to help! Installing the Midwest Industries AR10 Gen 2 Two Piece .308 Handguard and Inforce WMLx 500 or WML200 Lumens Light. First make sure the rifle is empty then remove the upper from the lower receiver. Insert the front portion of the upper handguard with the “T” markings on top under the handguard cap. Pull the delta ring back until it’s resting on the handguard. Put the lower half on the same way then snap both halves into place under the delta ring. Unscrew the knob on the light clamp then squeeze it to snap the light onto the side rail of the handguard. If you are right handed mount to the left side, if you are left handed mount to the right side. The switch on the side is so you can use the pressure switch so the light turns on when you press it and off when you release, or to make it stay on steadily when the pressure switch is hit then released. Will your .308 rifles chamber and fire 7.62×51 rounds? Our .308 rifle is designed and chambered for the .308 Winchester round, but it will also chamber and safely fire the 7.62 x 51mm round. Hello, just wanted to say you guys hit it out of the park with the February gun of the month. We would be glad to share some of your winter here in the North Carolina foothills. Every month I look forward to your newsletter. It is amazing how many new products that you are producing and how beautiful they are. Thank you for making and selling such a great product. I’d like to thank you for making such a high quality and fun-to-shoot weapon. Being a 23 year-old Active Duty service member I decided it was long overdue to make my first firearm purchase. When I walked in to the sporting goods store and saw your M4A4 CDI rifle, I fell in love. In less than an hour I walked out the front door with it. The next day I fired about 300 rounds through it without any issue. I absolutely love this rifle, the craftmanship and quality control put into this rifle is evident throught its performance. I’ve put almost a thousand rounds through my CDI and yet to have a malfunction. It is indeed a fine, top quality rifle. I will be sure to always speak highly of your firearms. Thanks again for making me a proud owner of a WWI rifle! I’ve wanted an AR since 1968 and I recently purchased one at Howell’s Gun Shop in Gray, Maine. I finally got a brand new 20in government rifle in 2014. One of the best things about it is that it is made in the state of Maine. I couldn’t ask for a better rifle. All I can say is thank you for the quality and all the accessories. Purchased my rifle a while ago. Just wanted to say I am very happy with my purchase. Had a couple of other manufacturers and by far this is my favorite. Thanks for the quality product you don’t get that much anymore. I just wanted to say that I recently purchased one of your fine AR-15s from a local FFL dealer. The price point was amazing. As to the quality of the weapon itself…strikingly beautiful with exceptional fit and finish and a build quality that I would say is second to none. I just wanted to thank you for making such fine quality and affordable weapons that anyone can enjoy. The INFORCE WMLx White Multifunction Weapon Mounted Light produces 500 lumens of white light with a concentrated spot and a generous peripheral beam. The WMLx provides ideal illumination for target identification and acquisition at long distances as well as being perfectly suited for more concentrated work. It features white light with momentary and constant modes (via a flip switch on the side) plus a strobe that is easily disabled with a simple sequence. Its angled activation button operates comfortably without the interference of wires from tape switches. The integrated patent pending rail clamping system is compact, convenient and secure. Two distinct easy to operate lockout systems are incorporated to avoid accidental discharge. Length: 5.34″ / Weight: 4 oz. easy-to-operate lockout systems are incorporated to avoid accidental discharge. The recent Armorer’s Course here at the factory was the largest class we have ever held and it was amazing. I would like to give a shout out to the guys from Vermont Fish and Game that attended and a big thank you to the rest of the guys that attended. We had 26 students in the class. March also brought a quick trip to VA to visit the FBI Academy at Quantico. Windham Weaponry was invited along with Southern Police Equipment of Richmond to demo some of our full-auto SBR’s. The shoot went flawlessly. We put over 800 rounds down range with not one issue. 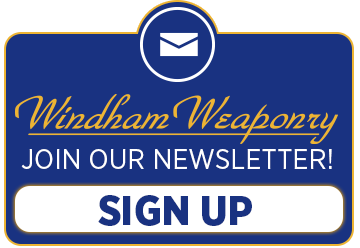 Windham Weaponry also held an Armorer’s Course in Albany NY at the Albany Police Training Unit. This would not have been possible without the help of Officer Batchelor. Officer Batchelor went above and beyond to make this class a huge success. We had 25 students attend the 2 day class so I would like to thank Officer Batchelor for making this class a huge success. 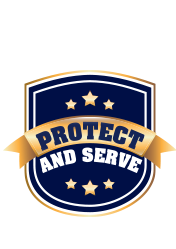 I will be attending the Texas Tactical Patrol Officers Association Conference from April 8th-10th, so if you are in the DFW area, please stop by and say hello. From the TTPOA, I will be on a plane to Nashville, TN for the NRA Show. Windham Weaponry will be in Booth #2461 and I will be in the booth on the 11th and 12th, so please come by and say hello. Kyle joined Windham Weaponry in May 2013, as part of the Quality Control team. Prior to that he served in the U.S. Marine Corps from 1996 to 2001 as a parachute rigger and sharp shooter. After his service in the USMC, Kyle started an excavation and landscaping business, Finishing Touch Landscaping, and then the opportunity to come to Windham Weaponry and work the dream career presented itself. Kyle still owns and operates the landscaping business with the help of his wife, Kate, who runs the day-to-day operations. Kate and Kyle have been married over 8 years and have 2 boys, 8 year old Killian and 6 year old Douglas. Kyle and his family enjoy motocross, hunting and horseback riding. He also serves on the Honor Guard American Legion Post 155 and on the Casco Veteran’s Committee.